The latest search engine updates have recently made it very clear that the less images you have on your website, the more Google will ignore you. Seems pretty harsh, doesn’t it? Before you let yourself get overly discouraged, or take your feelings to the other extreme, and start overloading your web pages with irrelevant images, it is best you take a hard look at what steps will positively affect your SEO, and what steps will hurt your SEO. Google’s latest bottom line has made it pretty clear that unless your website has at least one high-quality, relevant image on each page, your SEO will bleed out, and fast. To all of you website owners who have an easier time putting pen to paper than finger to flash here is the scoop on why Google loves images, and why we better follow suit. Before getting into the nitty gritty, the ultimate fact is, images look good. The world is a much different place than it once was, and that daily newspaper is no longer filled with column to column black and white text. Today, images fuel our society. These small frames, which capture a distinct moment in time captivate our minds, entice our eyes, and mesmerize our senses. The majority of today’s online society relies on a delicate juxtaposition of text and images in order to truly relate to what they are seeing on the screen. To add to society’s ever-growing list of dependencies, “sharing” is a trend that has recently taken on a new life. Sharing posts online has become so popular, that a website without a sharing tools option is considered as outdated as parachute pants. The key to allowing website users to effectively share your posts, is to attach each post with a relevant image. Ultimately, by leaving a well-written post imageless, you are doing yourself a huge injustice. All of the time, and effort you spent researching, writing, and editing will go to waste if no one can successfully share your post with others. Moreover, that same post that you worked so hard to write will be disregarded by Google Almighty if the post lacks a high-quality image to perfectly complement it. Seeing as images have become the not-so-secret ingredient to website success, it makes sense that one of the biggest trends sweeping the internet today is “free images”. This most recent popular trend earned its fame from its most direct counterpart; the copyrighted image. It has simply become too risky for website owners to fill their pages with copyright-protected images, so the internet world now follows one very cut-and-dry rule, “take your own pictures, or spend your time scouring the internet for free ones”. Unfortunately for those who do not know their way with a Nikon, option “B” is easier said than done. Coming by suitable copyright-free images on the internet is now harder than ever. Nonetheless, the demand for these images continues to grow. On the flip side, website owners with a knack for photography have certainly cracked-down on anyone hoping to hitch a free ride. So when Google closed the door, and made it nearly impossible for anyone to steal, and republish copyrighted images, new services, and developments came along and opened up a window. Remember all those times your mother used to remind you that nothing good in life comes free? With copyright-free images being so high in demand, it was only a matter of time before new companies started popping up left, and right to fill the void. Website owners jumped at the idea of signing-up, and gaining access to a free library filled with images that they could use anytime, and anywhere. The sad truth is, the majority of these image stock websites that publicize offering “Free Images”, are really offering fake dreams. More often than not, after having signed-up, a website owner will get smacked with subscription fees, and image costs. Some website owners will ultimately pay the 99 cent fee on each image, but for the handful of website owners who are hoping to capitalize off their website before they sink more pennies into it, the 99 cent fee becomes the deal-breaker. The next step the free-image-seeking desperado often takes, is to fill his web pages with any images he can find, but hold your horses there too, cowboy. Google is too smart for that. Nowadays, filling that well-written tech post with a picture of your furry cat, Pebbles, is not good enough. Google is getting smarter by the megabyte, and is now able to recognize the images you are using to fill your pages. The images you place side-by-side with your posts must correlate in order for your pages to get the recognition they deserve. The good news is, there are a select number of service-providers who can be considered “the good guys” in the search to finding free images. Among them, is Foter.com. This free stock photos website offers completely free images, and is also available as a WordPress plugin. As to be expected, however, with the good comes the not-so-good. Foter.com has a limited library of photos, some of which are not the best quality. Website owners considering Foter.com’s database of photos should also keep in mind that any image they decide to use for their website requires attribution information in order to publish it on their website. PhotoDropper is another website that teeters on the fence between good and bad. PhotoDropper is also offered as a WordPress plugin, and has an extensive library of photos. Before you set your sights on that highly-relevant image, however, be sure to read the fine print. PhotoDropper has a pretty vast library of photos. The catch is that most of the good ones are only available under their “premium package”. You are sure to find some useful images from their collection of free photos, but ultimately going to the candy store only to find out that you are allowed to fill up on gummy worms alone, will leave you headed out of the store with nothing more than a toothache. Stock.EXCHNG, and Stock Vault have also managed to firmly place themselves in the race to becoming key players in providing free images. Sadly, like with their adversaries Foter.com, and PhotoDropper, these free-image providing services are also not without their fair share of downfalls. Stock.EXCHNG requires that each image be accompanied by attribution information, and the service is not available as a WordPress plugin. On the flip side, however, Stock.EXCHNG does offer a large selection of high-quality images, and you are welcome to use any of the images on your website, if you have the patience to scroll through their database, whose search options do not allow you to narrow down your selection very easily. Stock Vault also prides itself on its library of high-quality images, and this service is available for all of you WordPressers. There is a catch here though, and it is one that may force many interested parties to continue their search for the next best thing. Stock Vault is available for non-commercial use only, so if your game plan is to start selling homemade soap online, don’t bother spending your time looking up images of bubble baths on Stock Vault. So what does this all boil down to? You have great ideas, your content is well-written, and witty, but without images everything is going adrift. Thankfully for the many stuck in an SEO rut, there are two new kids on the block who might just be the light at the end of the tunnel. Zemanta and Imonomy are two relatively new services that have been sweeping the web one site at a time. Both Zemanta, and imonomy are the first to provide an automated service that allows you to instantly add copyright-free images to your pages. The two services have the ability to scan the written text from your web pages, and instantly find suitable related images. Before you jump the gun, and click over to the catchiest sounding service, here is a little breakdown on the can do’s and can’t do’s of each of these automated, free image-providing services. Zemanta scans the written text from a website as it is being posted, and offers website owners a choice from a smaller selection of images, which Zemanta’s automated system pulls from a database. The automated system, for the most part, offers highly-relevant images, and a selection big enough to please most website owners. There are a few downfalls that must be kept in mind before zoning-in on Zemanta’s library of copyright-free images. Zemanta does not work retroactively. This means that when you begin using Zemanta all later posts will have access to Zemanta’s automated image service. However, if you are the owner of a mature website, your older posts, and your archives will not be pampered with the same image-makeover like with your newer posts. On the topic of image-makeovers, it is important to keep in mind that Zemanta requires attribution information for each image. Moreover, these attributions sometimes reach up to three to four lines in length. Other than providing free images, Zemanta’s secondary function is to insert external links related to your posts. The hyperlinks, depending on the placement, and quantity, will either work to hurt or help your SEO. Ultimately, the links lead to other websites, so with Zemanta’s free-images comes the risk that users may find themselves redirected. Zemanta’s matchup, imonomy, offers similar services with a twist. Unlike Zemanta, imonomy’s technology automatically scans the content from the entire website, and instantly matches the most suitable image to each post. imonomy works retroactively, and is able to revamp web pages with a few simple clicks. Furthermore, because imonomy is capable of scanning the entirety of a website, it offers a secondary service that allows users to get reconnected with other related posts from the same website. imonomy’s copyright-free images, which require no attribution credits become interactive components to the website, and stimulate SEO by providing intelligent internal links. 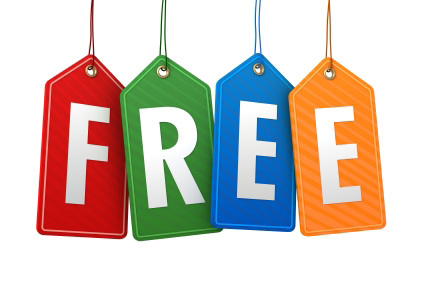 Free images come with a catch no matter what service you are using. imonomy inserts small advertisements along with the free images. The advertisements are content-related, and the website owner walks away with the majority of profits once everything is said and done. Having high-quality, relevant images to accompany your website posts are a must, and it seems that finding free images is the new name of the game. There are certainly a few booby traps along the way, but finding that treasure chest is not impossible. For those of you still struggling with denial, it is time to move on to that glorious stage called “acceptance”. Google has developed some really high standards when it comes to how a website should look. Call it being superficial all you like, but the new image laws are here to stay, and in order not to slip between the cracks, it is high-time you start doing some homework on how you are going to makeover your pages. This article is written by Leytal E Ross and taken from SiteProNews. It Is Possible To Keep Your iPod Alive Even In 100-Feet Under Water?